The last few weeks have been a complete whirlwind for Elizabeth Debicki, the 22- year old Australian actor who is being hailed as the breakout star of Baz Luhrmann’s much-anticipated, much-scrutinised film The Great Gatsby. She’s walked the red carpet for the movie’s gala opening at the Cannes Film Festival and at the lavish Sydney premiere. She’s wined and dined with the rich and famous at several exclusive events including a Prada dinner hosted by US Vogue editor Anna Wintour. In between all that she’s been rehearsing a production of Jean Genet’s The Maids for Sydney Theatre Company with Cate Blanchett and French film star Isabelle Huppert. It’s enough to go to a girl’s head, but Debicki seems unaffected by all the glitz, glamour and media attention. “Someone asked me, ‘how do you stay grounded?’ Well, it’s a bit bizarre but I feel very normal. I just feel busy and tired. And happy,” she says. “I’m happy that the film has come out and is doing so well and I’m happy to be working at STC on this play. I think that’s one of the best things to keep you grounded after a whirlwind press junket ­– waking up and coming to a theatre rehearsal and standing at the foot of (the play) and saying, ‘I’m not sure how to do this.’ That will keep you grounded,” she says. “Here” is the Wharf Theatre where she is rehearsing Genet’s dark, elliptical play about two maids who act out a ritual fantasy of murdering their mistress. We meet during a break in rehearsals. She’s dressed in ripped jeans and striped T-shirt without a skerrick of makeup but she still looks glowingly elegant. Much has been made of her creamy, luminous beauty, which has a similar quality to Cate Blanchett’s, with inevitable comparisons being made between the two actresses. Debicki shrugs the idea off as if flicking at a fly. “Oh, it’s very flattering but I think people just have to have something to liken you to,” she says amiably. Genet’s 1947 play was inspired by the notorious, true-life story of French servants Christine and Lea Papin, two quiet sisters who in 1933 brutally murdered their mistress and her daughter, attacking them with a kitchen knife and a hammer and gouging their eyes out. The Sydney Theatre Company production will use a new translation by Benedict Andrews, who also directs, and Andrew Upton. Debicki plays the mistress. Starting rehearsals with Blanchett and Huppert was, she says, “daunting and thrilling. ‘Surreal’ is my buzzword in my life (at the moment). It’s an accurate way to describe it. It’s very strange when you meet somebody that you’re admired for so long you are a bit in awe of that person. Andrews has no doubt she belongs in their company and predicts that her “brave, thrilling turn” as the mistress will be “an unforgettable Sydney debut of a serious new actress. For her part, Debicki describes Andrews’ direction as “wonderful and relentless – which is a good combination. It keeps me on my toes. I remember something Cate said: that his rehearsal room was really muscular, and it is. It’s incredibly physical. It’s relentless (but) not in a bad way. The play is like that too, it demands a lot of the actors. There are so many things happening on so many layers and levels and they are firing off all at once. “One day in rehearsal you could be working on one level and then you think, ‘oh good, I’ve got that’, then you come in the next day and there’s another whole level. It’s just an every-expanding monster. 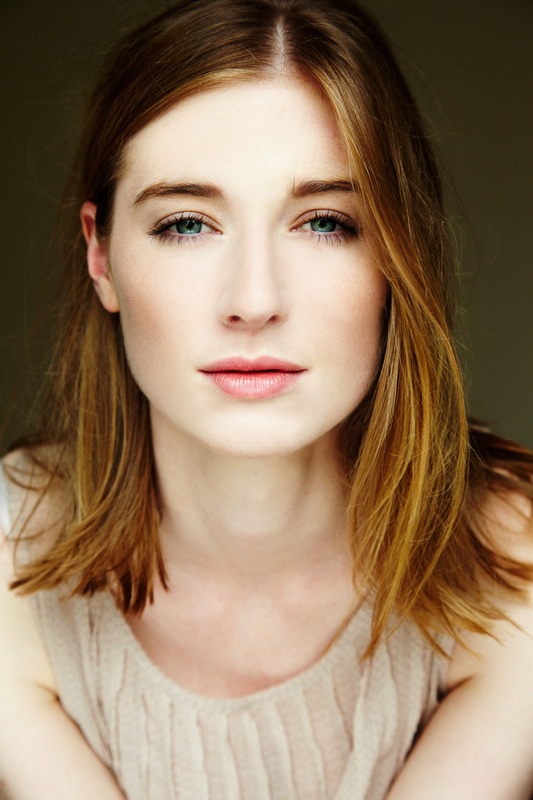 Debicki was born in Paris to a Polish father and Australian mother, both of them classically trained dancers. They moved to Melbourne when she was five, where her mother still runs a dancing school. She trained as a dancer but by age 16 was too tall to become a ballerina – she is a statuesque 1.9 metres – so turned her attention to acting. She graduated from the Victorian College of the Arts in 2010 and a few months later was cast in The Gift by Joanna Murray-Smith at Melbourne Theatre Company. She also landed a bit part in Stephan Elliott’s film A Few Best Men. During The Gift, she put down an audition tape for the role of Jordan Baker in The Great Gatsby. “I think by then they had been trying to cast Jordan for a while,” she says. The LA casting agent was impressed and Debicki was flown to Los Angeles to audition for Luhrmann during a crazy four-day trip. Debicki, who admits she’s never been sporty, had a golfing instructor for the role. Reviews for The Great Gatsby may be mixed but Debicki, who has landed raves, has nothing but praise for Luhrmann and the film. “I think it’s beautiful. I’m so proud of it,” she says. Having moved to Sydney for the filming, Debicki been based there off and on for the past 18 months but says she’ll go where the work is. Doubtless she has been inundated with works offers but right now she has her sights set firmly on The Maids. The Maids, Sydney Theatre, June 4 – July 20. An edited version of this story appeared in The Sunday Telegraph on June 2. This entry was posted in Interviews, Theatre and tagged Andrew Upton, Baz Luhrmann, Benedict Andrews, Cate Blanchett, Elizabeth Debicki, Isabelle Huppert, Jean Genet, Sydney Theatre Company, The Great Gatsby, The Maids by jolitson. Bookmark the permalink.